Welcome to Westport Design, small craft naval architects & design engineers. 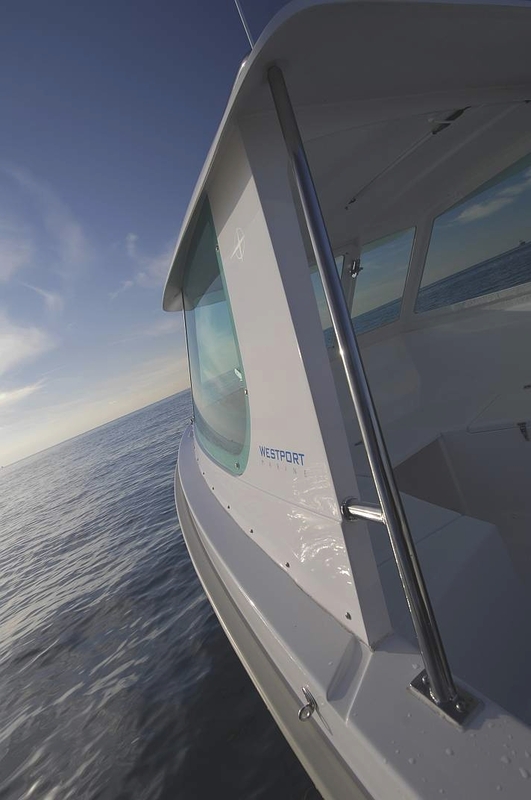 At Westport Design we specialise in all aspects of the design and development of motor craft up to around 200-300ft in length, including commercial and pleasure vessels, marine civil engineering projects, defence development vessels and vehicles. We assist in manufacturing design, undertake condition and in build surveys as well as managing build projects for our clients. We also manufacturing our own range of sport angling boats and so fully understand the commercial implications of the work we undertake. Every aspect of our design work is aimed at producing good, simple designs that are functional, attractive and easy to manufacture. Whether we are working on a man-overboard recovery davit, a 50 passenger island ferry concept drawings for a production pleasure boat - all aspects of the design must be considered to ensure a successful product for the client. Our work is always varied and can be as little as checking the deck reinforcement for the fitting of a winch, preparing a 3D model ready for CNC machining or undertaking the full design of a commercial offshore vessel. Whatever your interest are take a look through our services & portfolio and give us a call to talk through your requirements.